Product prices and availability are accurate as of 2019-04-03 18:52:15 UTC and are subject to change. Any price and availability information displayed on http://www.amazon.com/ at the time of purchase will apply to the purchase of this product. 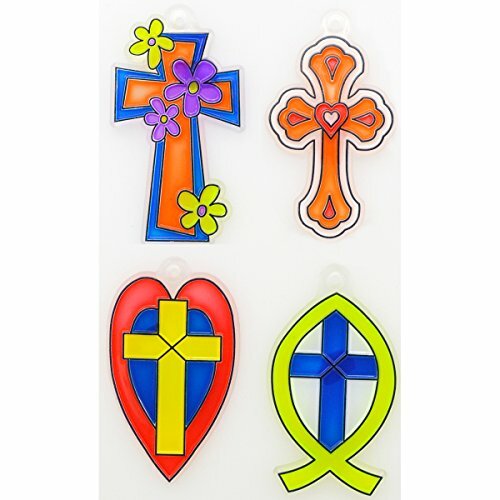 4 cross Suncatchers: Heart, fish, scalloped, flowers. Product dimensions, cross in heart 3?" x 1? ", cross in fish 3¼" x 1¾", scalloped cross 3?" x 1¾", cross with flowers 1?" x 3¼. 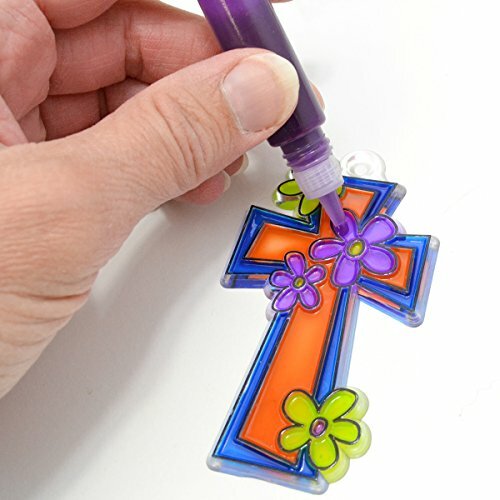 Painting Suncatchers is the perfect creative activity for kids. 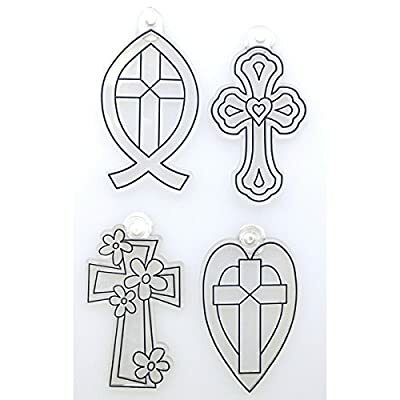 These clear plastic shapes have raised lines that hold special stain that allows light to shine through beautifully when hung in the sunshine. These make great personal gifts for family and friends. Share as a joyful window decoration for many years. Order multiples for the perfect group activity. Also great for teachers, parties, VBS, etc. 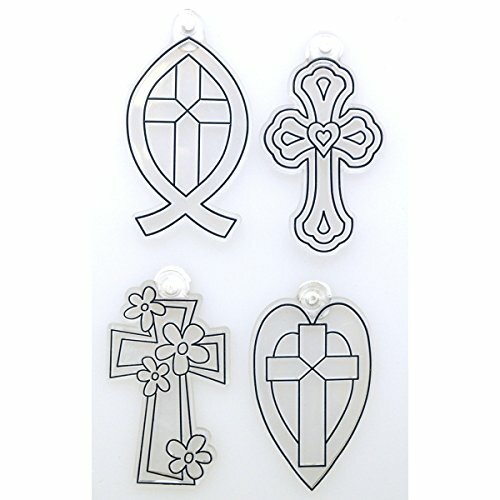 Suncatchers are simple and fun craft for all ages. Ready to stain or paint. Stain sold separately.